Gold & Silver Markets – How the AAOIFI’s Decision on Gold May Change the Game for this Market? The replacement of gold standard with fiat money was a move that continues to be attacked by many economists and organizations all around the world. A transition to go back to the old days’ model has been proposed many times but major governments seem to be uninterested, and since removal, the only movement in gold is by personal and business investments into buying gold bullion through a variety of methods, none of which allow for use as a open trading medium. Now, in a very complex move, the Accounting and Auditing Organization for Islamic Financial Institutions, also known as AAOIFI, decided to announce what they called as a “new Shari’ah standard on gold” while backed up by the World Gold Council. This new Shari’ah standard on gold announced by AAOIFI hides many causes and consequences. According to traditional Shari’ah law, it was forbidden to use gold as a financial asset to speculate on the markets and generate profits with future value. Instead, physical gold was exclusively destined for jewelry and currency use. This is what changes under the AAOIFI’s decision. Now, gold investments can be done in Islamic finances, opening a whole new world of profitable possibilities. Behind the decision, we can see an important transition of gold’s role in the Islamic world, adding a global-scale financial instrument that certainly will expand the regional markets. We must say that the Islamic world was quite prepared for this change, willing to experience it. Deliberations about using physical gold as a financial instrument lasted over a year, so many players had the time to prepare the soil. “With OneGram, we’re excited to provide an opportunity for investors who care about Islamic financial markets and the security of commodity-backed investments to benefit from rapid technological advances in the blockchain industry,” he continued in a recent press release. 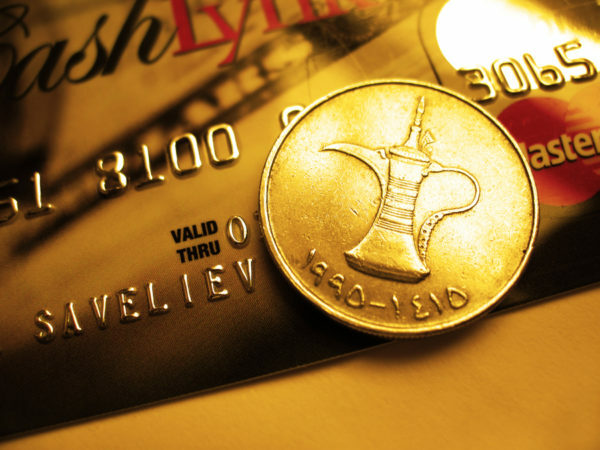 The new Shari’ah gold standard and the introduction of OneGram are two game-changing events for the yellow metal. First, the demand for physical gold in the Middle East will skyrocket as Islamic investors are now allowed to put their money in the metal. Then, OneGram will be constantly investing in gold as the cryptocurrency increases in value. And why we know that OneGram will be a success? Because cryptocurrencies are a thriving model. What was failing is the selling argument. Now having a gold-backed cryptocurrency, this problem is long gone. The transition from fiat money to digital currency may involve gold as its main protagonist, backing a cryptocurrency that could be Bitcoin’s replacement in the upcoming years. Financial experts believe that fintech is the future as almost everything is being channelized through digital mediums. Adding the strength of gold would be the final adjustment to achieve the best results possible.